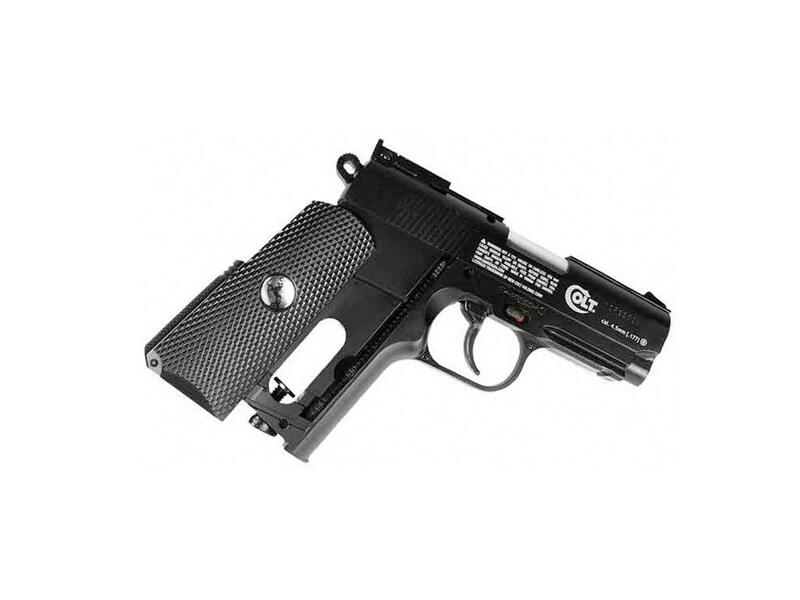 Umarex Colt Defender Full Metal BB Pistol | ReplicaAirguns.ca | New Website! Trigger Pull: The trigger pull on this gun is medium and a bit long; the break point is a bit hard to predict but once you get used to it being on the long side it shoots pretty good. Accuracy: This was my second time shooting the Colt Defender at a target from 20 feet away in a free standing position, and again it performed about the same as the first time with a decent 2 inch grouping. I think with practice, I could get this easily down to a 1.5 inch group. Build Quality: As the Colt Defender is almost all metal, you can't really complain too much about the durability aspects of this gun. Where I was let down a bit was the lack of functionality. In other words - parts that normally served a purpose like the hammer, slide release, sight adjustments and rear safety - all where just moulded into the metal gun and where only for show. 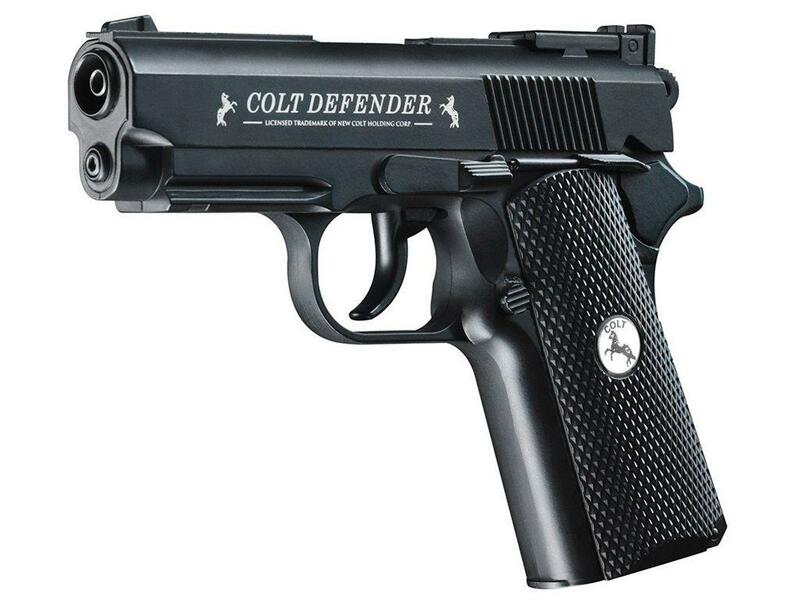 Realism: The Umarex Colt Defender is a licensed replica of the real 45 auto Colt Defender pistol. It is a close looking copy with the exception of the trigger mechanism. This is another low-cost replica air gun from Umarex designed for the more entry-level buyer. It's a very solid and well-made gun being that is mostly metal. 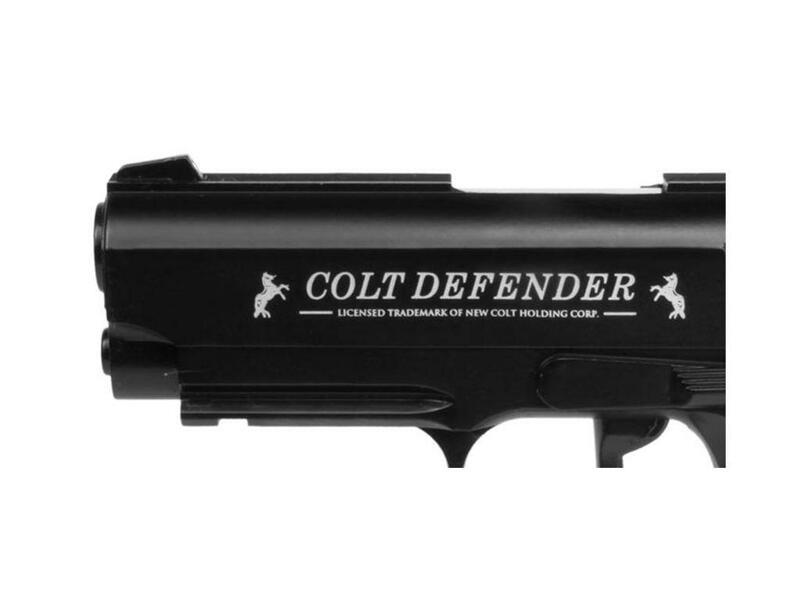 There are many positive aspects about the Colt Defender: it's fairly consistent and accurate, has all the Colt licensing and trademark, has a good 440fps, uses an all metal design, and comes in at a very affordable price. Piggybacking on another review as it specifies the pros and cons for myself as well. Pros: Cheap. I like the weight and general fit to hand. I use it to improve point & shoot handgun style shooting. It holds 16 in the clip and this BB pistol holds 16 shots. It works real well for honing eye/hand coordination. Good way to get in the needed practice without burning up a lot of expensive ammunition. The trigger pull is kind of long, but using the point & shoot tech. you use the middle finger on the trigger instead of the index finger so it's not a problem. The sights seem to fine. But with P & S they are not used, and the longest distance at which I practice is 25 feet. I have been getting 96 shoots from one CO2 cartridge. 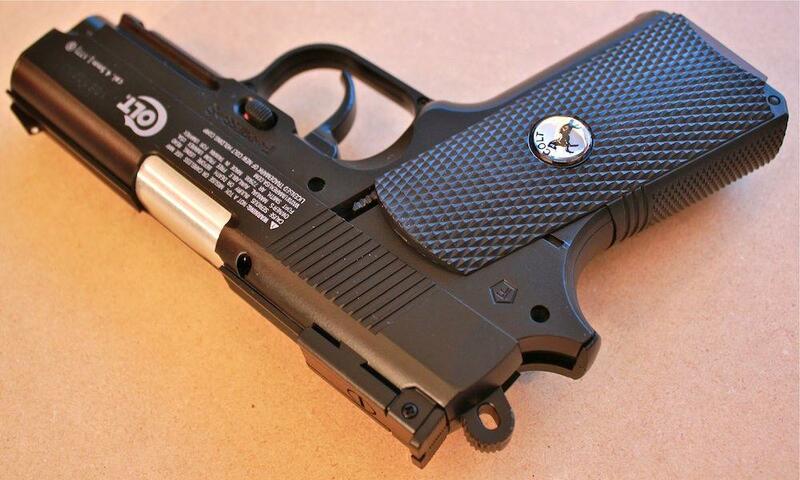 Cons: I really don't like the the logo in the middle of the grip. Would've looked a lot cooler without it. Can't think of anything else. 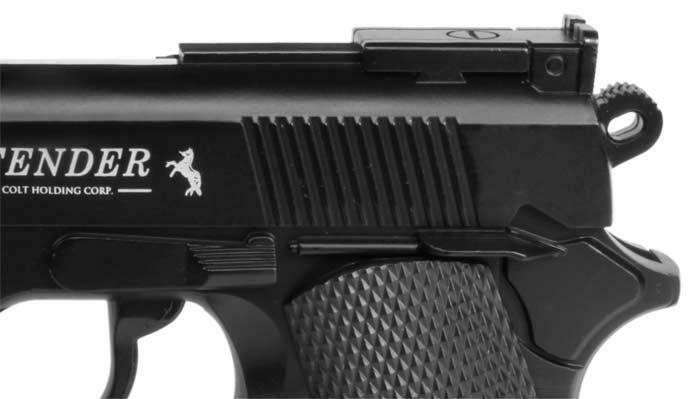 http://www.ReplicaAirguns.com - Umarex Colt Defender CO2 BB Gun Review. 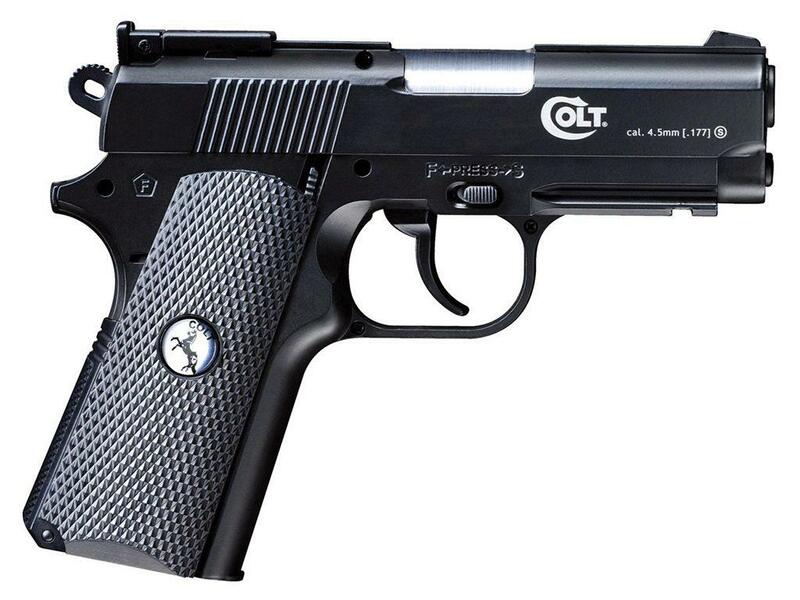 This is a table top review of the Umarex Colt Defender CO2 BB pistol. I show you around the gun and walk you through its basic operation and handling. I have included a target example showing you a grouping I got from 20 feet out with this gun. 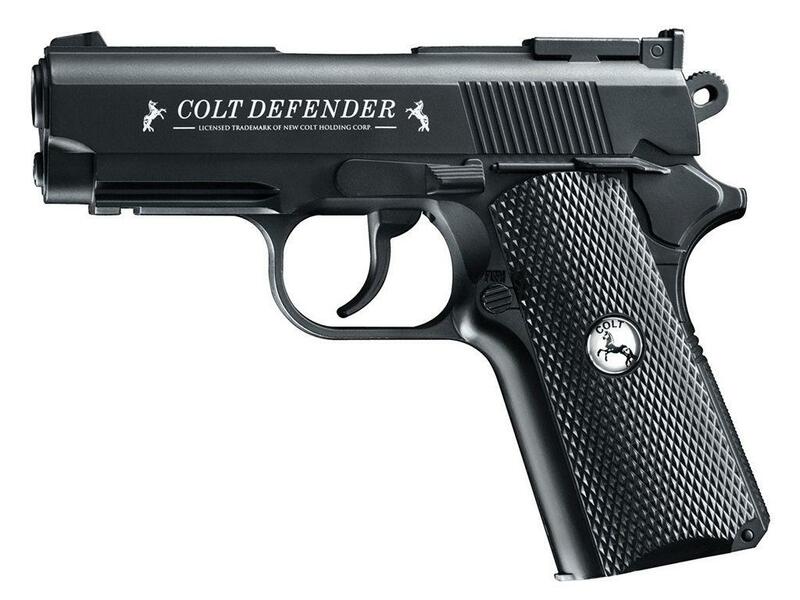 The Colt Defender is mostly metal so it has a very solid and durable feel. 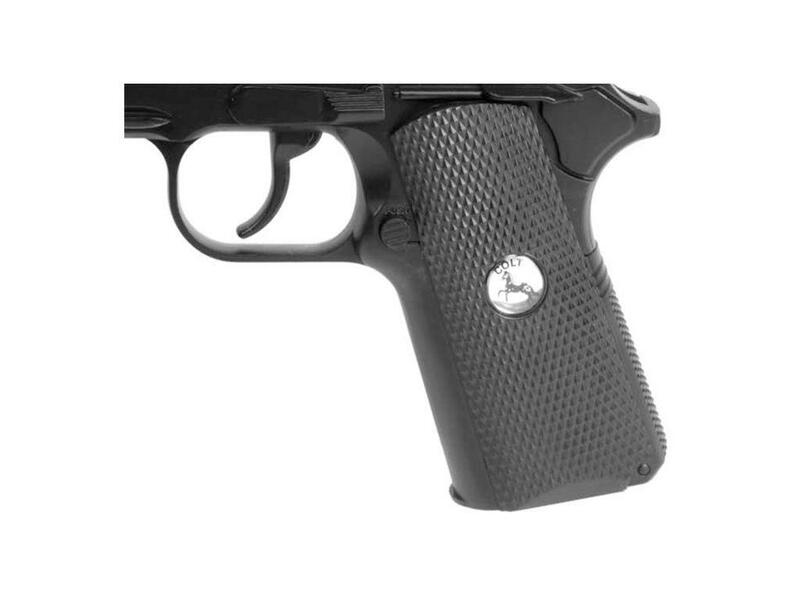 The Umarex Colt Defender is well made and is a fairly good replica of the real 45 auto Colt Defender firearm, and at a very affordable price. It's also a decent shooter with a fairly high 440 fps and has decent accuracy for a smooth bore BB gun.